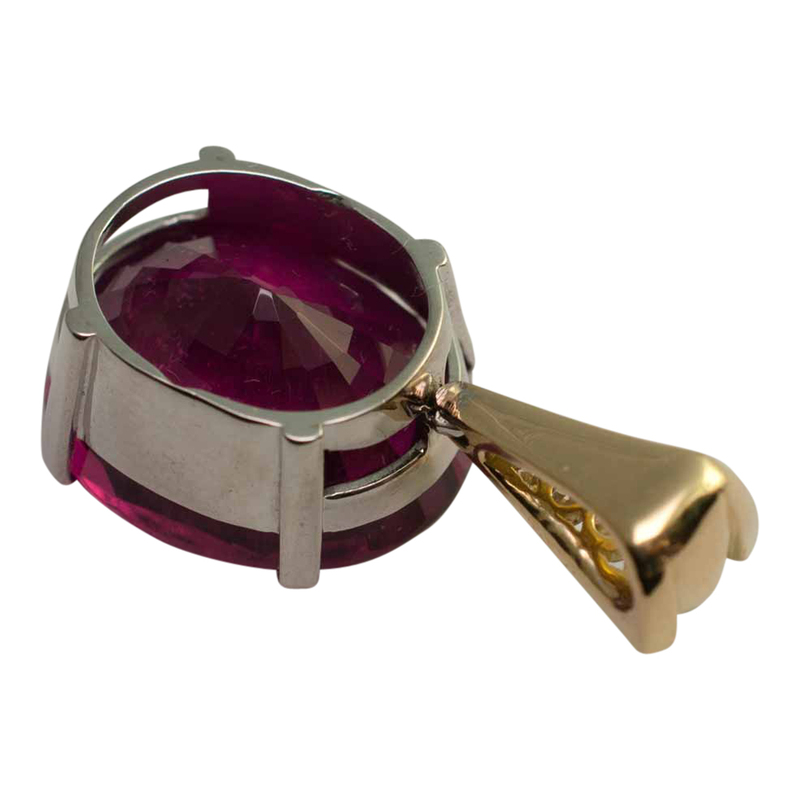 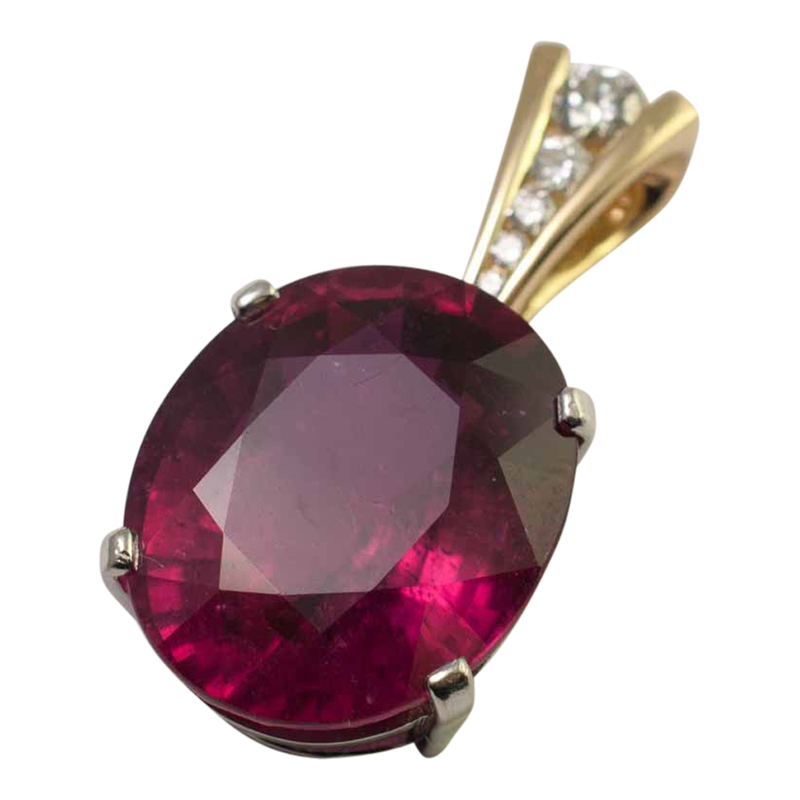 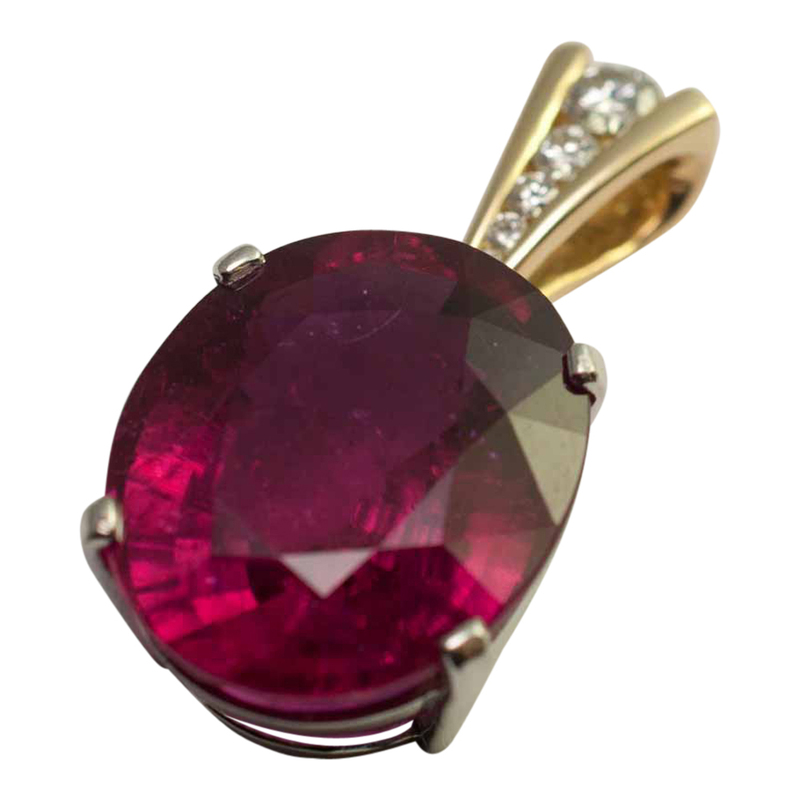 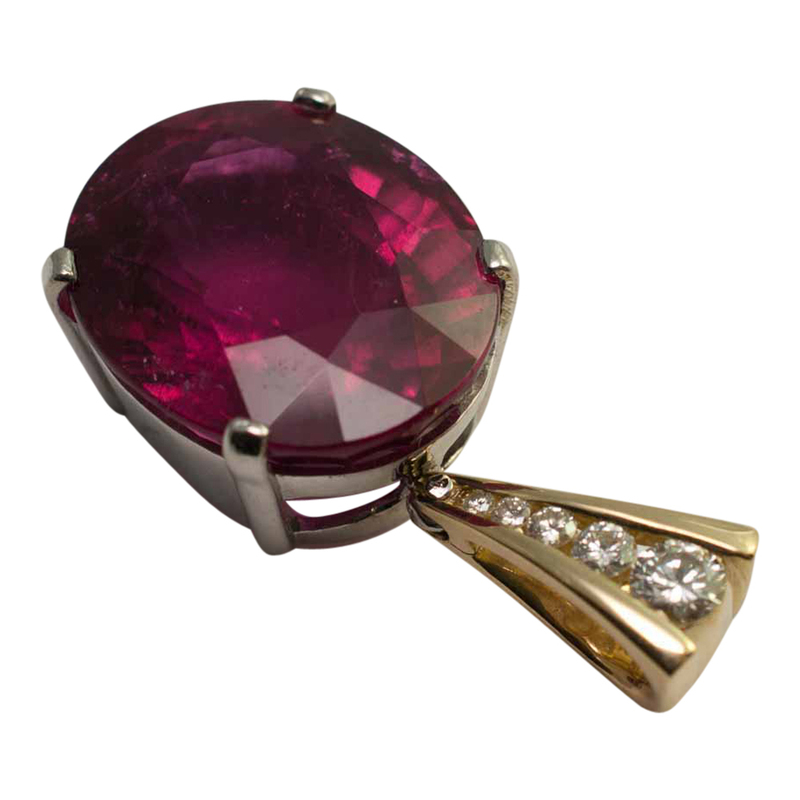 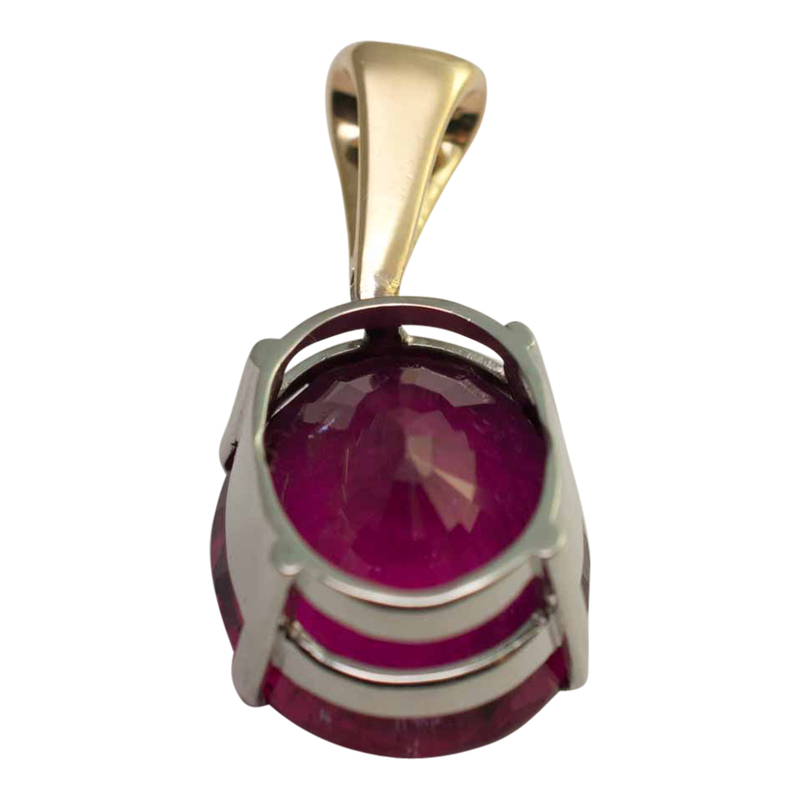 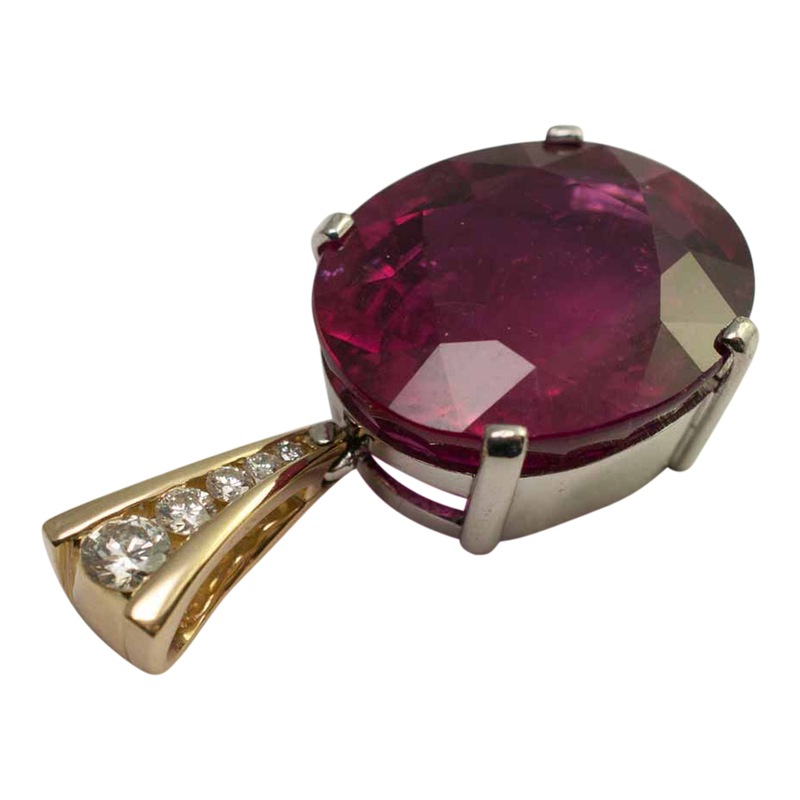 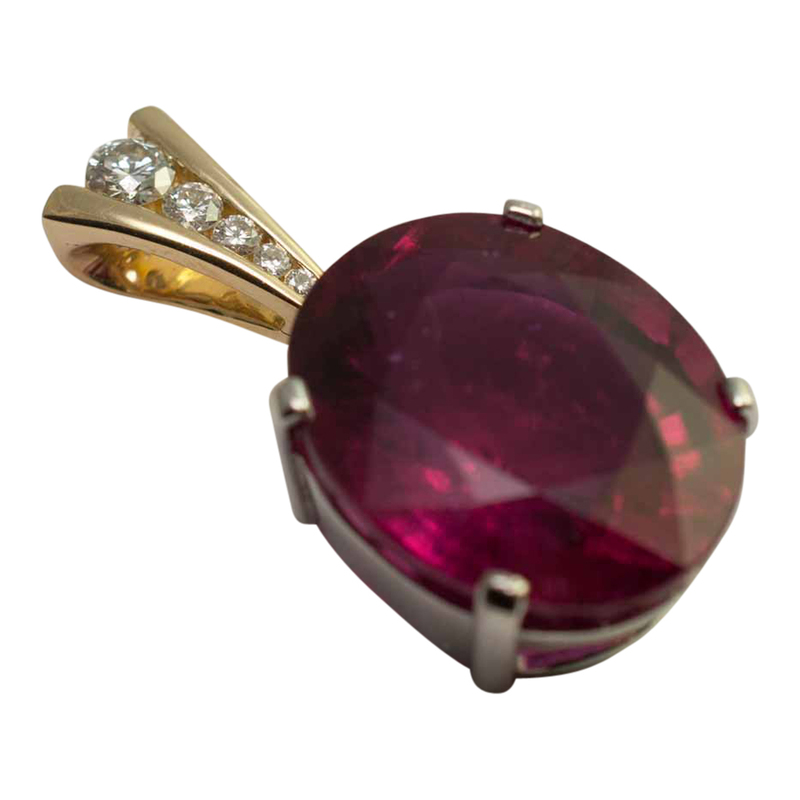 Large rubellite pendant; the stone is a deep raspberry pinkish/red colour and is set with 4 claws in a white gold mount (tested as 18ct). 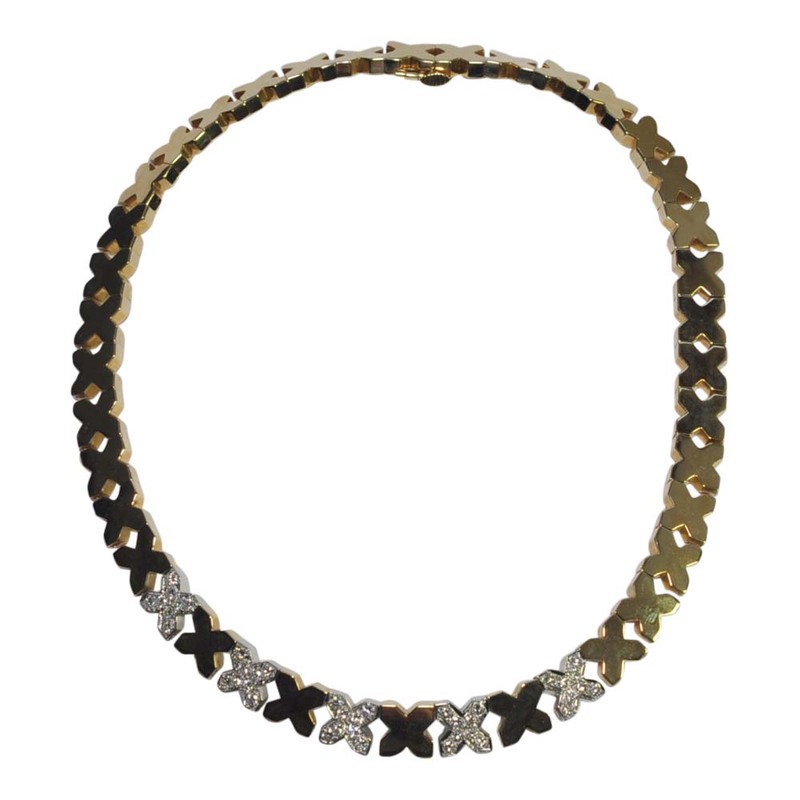 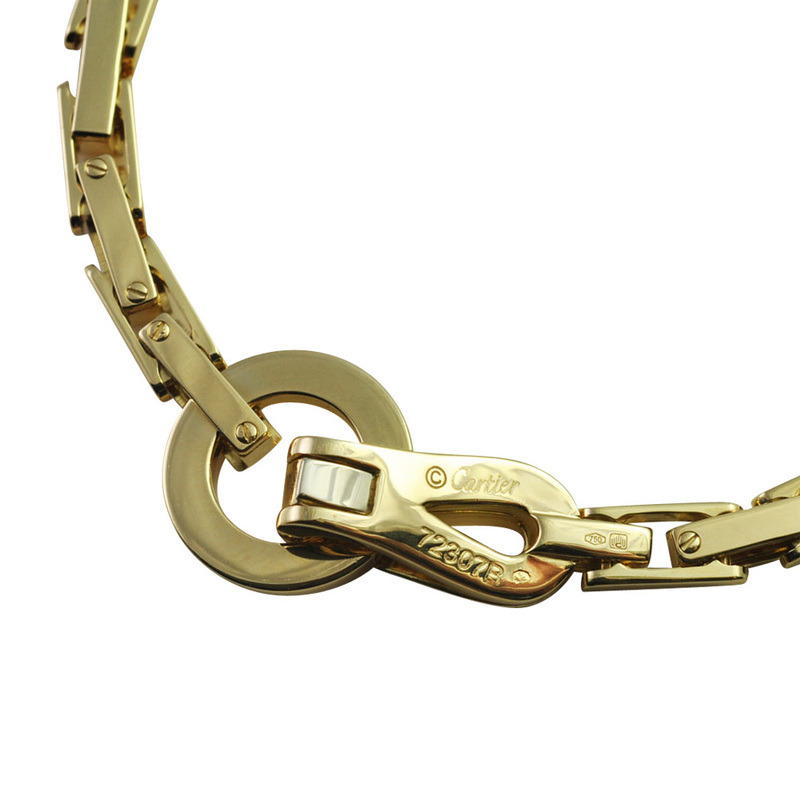 This is suspended from an articulated yellow bale, channel set with graduated brilliant cut diamonds totalling 0.40ct (tested as 18ct gold). 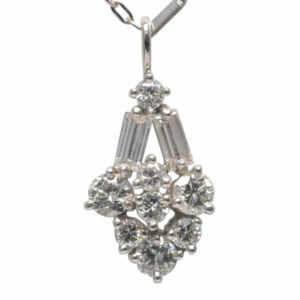 The total weight is 9.5gms; measurements 18.7mm in length x 15.4 wide; total length including the bale is 3cms. 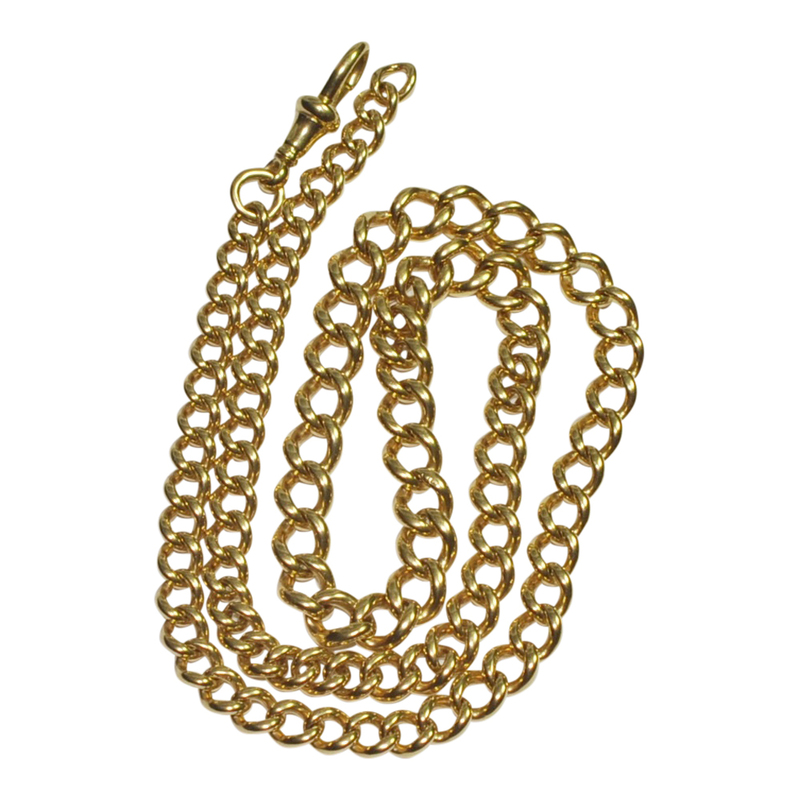 We can supply either an 18ct white or yellow gold chain for this pendant which is in excellent condition and has been re-polished.